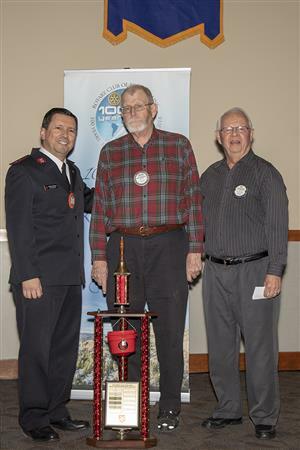 Isaias Braga presented the Salvation Army Bellringing trophy to RCFC for the fifth year running. RCFC collected $1326, compared to just over $900 for the nearest competitor. Martin Nelson and Bill Schaffer were thanked for their leadership in this year’s effort.